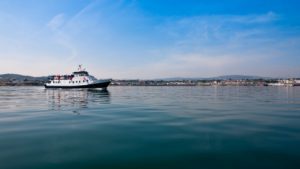 Dublin Bay Cruises is the only regular passenger ferry operating on Dublin Bay and offering a daily service with seven different unique cruise options to choose from – see below. Kick start your day with a fresh morning commute to Dublin City as you sail on Dublin Bay and admire the city from a truly unique perspective. During your voyage you will see aspects of the city that are not possible on any other mode of transport. Sail past Dalkey Island as you travel north and discover the magnificent Convention Center, Eastlink Bridge (Opening), Dublin Port and Docklands and Poolbeg Lighthouse. Cruise duration is 60-70 mins. 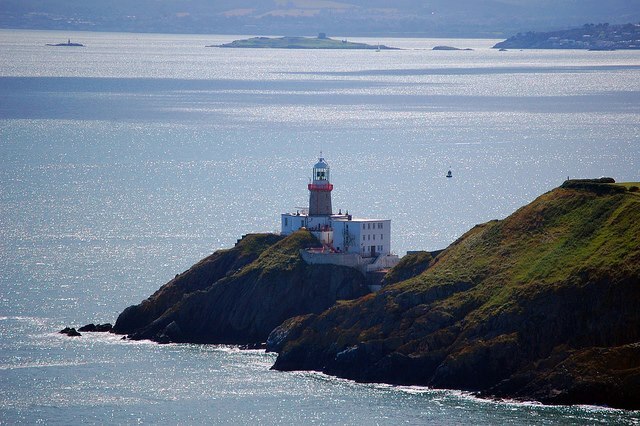 Sail from the City on a majestic cruise south of Dublin Bay to the beautiful Dun Laoghaire Harbour and from there on to the traditional fishing of Howth with its world renowned fish restaurants and fantastic walks. During your voyage you will see aspects of the city that are not possible on any other mode of transport. The magnificent Convention Center, Eastlink Bridge (Opening), Dublin Port and Docklands, Poolbeg Lighthouse passing by Dalkey island ,Clontarf and the world wildlife reserve Bull Island, Baily and Kish Lighthouses, Howth head, Ireland Eye, Lambay Island and Howth Harbour with it’s many seals swimming in the harbour. Cruise duration – 150 minutes. 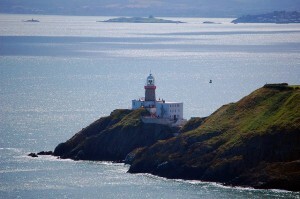 Why not discover one of Ireland’s most beautiful coastal fishing villages? 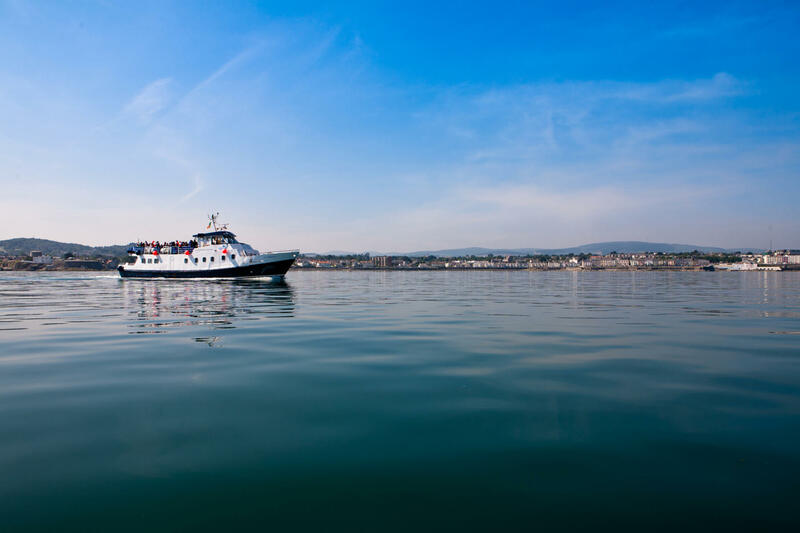 Hop on board the St Bridget and sail from Dun Laoghaire to the traditional fishing village of Howth with its world renowned fish restaurants and fantastic walks. 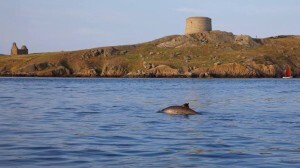 During your 60-70 minute voyage you will see aspects of Dublin that are not possible on any other mode of transport. Dalkey island ,Clontarf and the world wildlife reserve Bull Island, Baily and Kish Lighthouses, Howth head, Ireland Eye, Lambay Island and Howth Harbour with it’s many seals swimming in the harbour. Get out there and Enjoy! 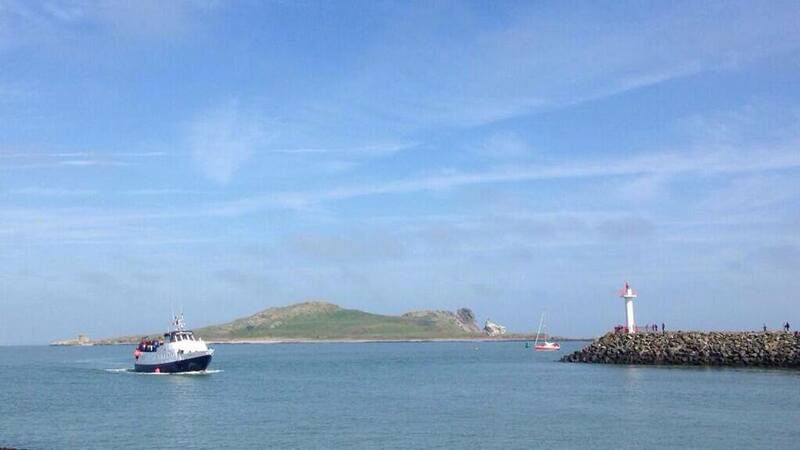 Take a relaxing hour long cruise on board the St Bridget from the beautiful Howth Harbour. Take in the breathtaking views from this amazing vantage point and see the beautiful bird and seal colony that is Irelands Eye . Look north towards Malahide and Lambay Island and South East towards Howth Head as you take this relaxing cruise. Sure you might even have a coffee or a glass of wine from our on board bar while you sail. 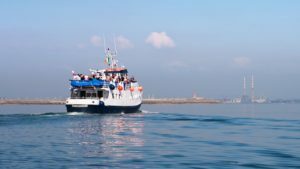 After a stroll and lunch n the beautiful fishing harbour with its famous seal colony jump on board the St Bridget and enjoy a coffee or a glass of wine as we take you on a 60-70 minute cruise back to the Dun Laoghaire. 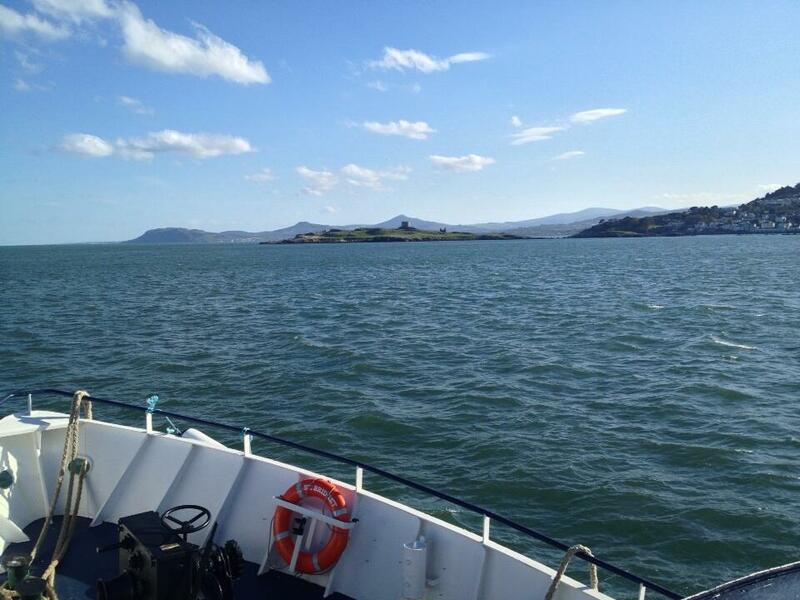 Along the way you will pass by the island of Irelands Eye and Lambay Island to the north. You can view Howth Head, Baily and Kish Lighthouse, the world famous wildlife sanctuary of Bull Island, Clontarf Dalkey Island and Dun Laoghaire. 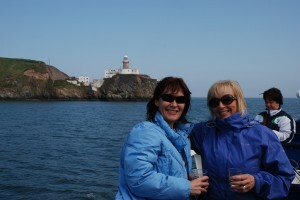 For locals and tourists alike this is one of the best and most enjoyable boat trips in Ireland. Such is it’s appeal that many corporates and event managers recommend this cruise for clients, colleagues and staff events. We set sail on the 75 minute cruise at 5:30pm and head south past James Joyce Martello Tower, the famous Forty Foot, Bullock harbour, Dalkey Island and Collimore Harbour, Sorrento point, Killiney Bay arriving back at Dun Laoghaire at 6:45pm. It is also a regular occurance to be joined on the journey by a pod of Dolphins. 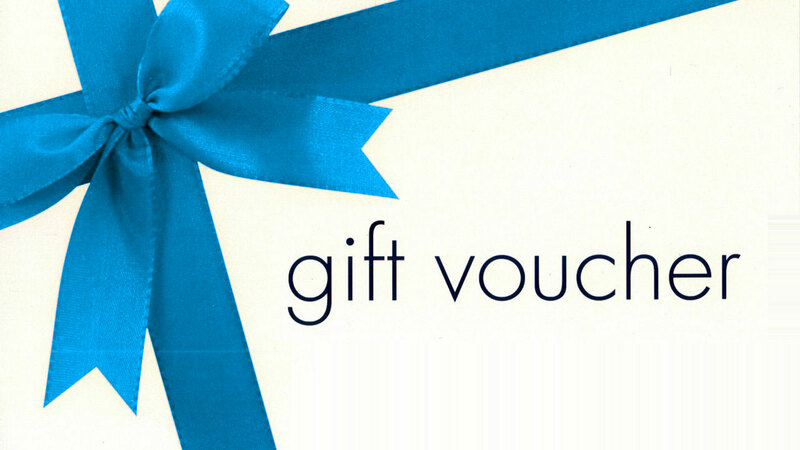 Note: DART Train Discount Your Dublin Bay Cruises booking confirmation, which is automatically emailed to you once you have made your booking, will have a DART train voucher attached. This entitles each Dublin Bay Cruises passenger to travel between any station on the Dun Laoghaire – Howth – Dun Laoghaire DART route on the same day of sailing for a discounted price of €2.00.